For our second special theme week, we head to Reims and Epernay from November 25-29 for a look at one of the high points in the year for our champagne houses, the grape harvest. You’ll learn absolutely everything about this critical stage in making champagne, from the first grape picked until the complete harvest is inside the winery. Dom Pérignon…Krug…Mercier…Moët & Chandon… Ruinart…Veuve Clicquot… LVMH counts some of the most prestigious champagne Houses in world. At the end of each summer they all wait impatiently for their painstaking work in the vineyards to—quite literally—bear fruit. The grape harvest is a decisive moment when the incredible wealth nurtured all year must be carefully gathered. Grapes are a fragile and essential raw material. They are picked with meticulous care and brought into the chai, or storage shed, for a step-by-step transformation into champagne. 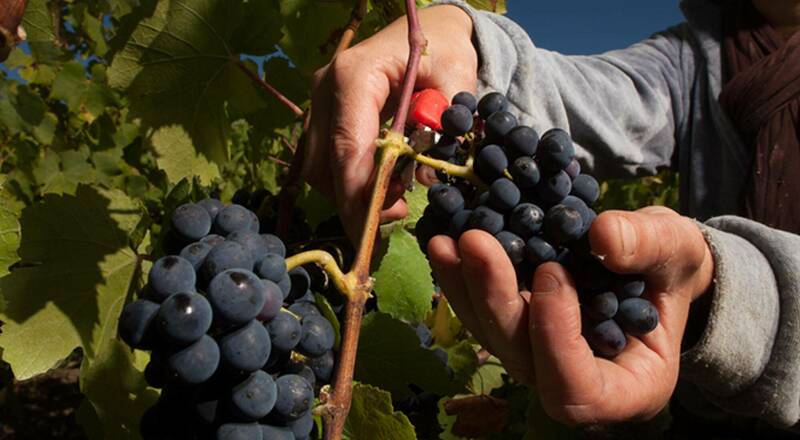 This theme week on the grape harvest in Champagne features five articles. After looking at how the decision to begin picking is made, we’ll visit Veuve Clicquot to learn about the grape production cycle. Then Richard Geoffroy, cellar master at Dom Pérignon, presents the storied champagne house in a video shot at Abbaye d’Hautvillers. He talks about what makes Dom Pérignon so unique and his role as winemaker during the harvest. The series continues with two subjects downstream from the harvests. Two people from Moët & Chandon discuss the importance of innovation at the house, and lastly, the very special assemblage process is seen through Krug. Our effervescent escapade to the heart of the grape harvest in Champagne starts Monday. Don’t miss it!